Since Avengers: Infinity War was released earlier this year, fans have been eagerly awaiting the follow-up and its trailer finally arrived today. Marvel Studios teased fans with a trailer which only gives us glimpses of what to expect in Avengers: Endgame which will bring to an end Phase Three of the epic Marvel Cinematic Universe. While the footage leaves us with many unanswered questions, we do see the return of two heroes who were missing from Infinity War – Scott Lang aka Ant-Man, and Clint Barton, better known as Hawkeye. Barton’s hero Hawkeye was noticeably absent from the events of Infinity War as he had seemingly retired from the superhero game to spend time with his wife and children. We know for a fact, as told in the last Avengers film, Barton took a plea deal after he broke the Sokovia Accords in Captain America: Civil War returning home to his family’s farm. Which leaves us all wondering why he is back, this time suited up in black and gold gear with his weapon of choice being a katana like sword instead of his usual bow and arrows. 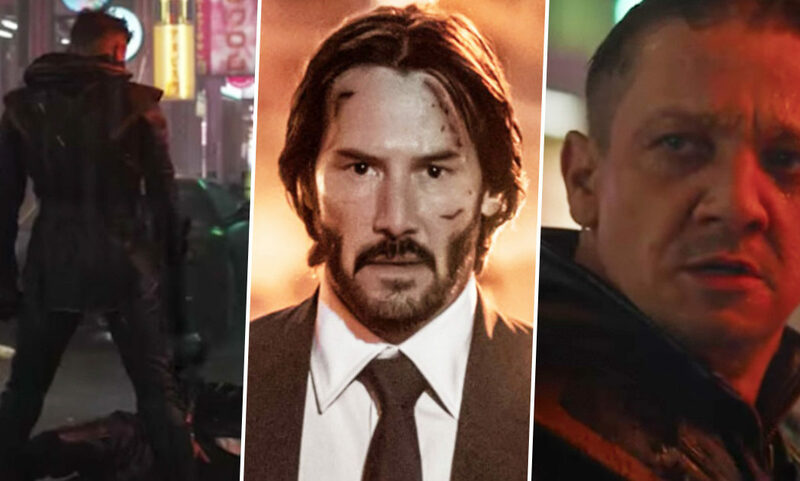 About midway through the trailer we see a shot of a hooded man brandishing a sword, standing over a few dead bodies in a scene which could have come straight out of John Wick. As Black Widow cautiously approaches, the man drops his hood, turning round revealing himself to be Jeremy Renner’s Barton with a mean grimace on his face. From his appearance we can conclude Hawkeye is no more as Barton but now Ronin, an alias used by multiple characters in Marvel Comics. Essentially Ronin is a samurai and lone warrior with Barton taking on the identity in the comics in the aftermath of their version of Civil War. In the comics as Hawkeye sides with Captain America’s team against Iron Man’s camp, he is forced to go underground following the group losing against Stark. Wanting to hide his identity, Barton ditches the Hawkeye name in favour of Ronin who is darker and much more mysterious. 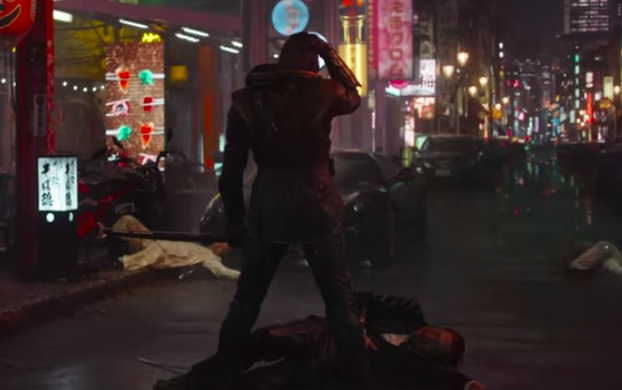 Why Barton is now Ronin in Endgame remains to be seen but we can take a good guess seeing Thanos’ snap turned half of all life in the universe into dust. While the more hopeful among us would hope Barton is returning because the situation is so desperate, it is more likely the ones he loved, his family, did not survive the snap hence the darker superhero identity and all the dead bodies. He could possibly have darker motivations too, hence the Ronin disguise as Cap’s voiceover over the shot tells us our heroes have lost their ‘family’ and ‘a part of ourselves’. Maybe losing his wife and children sent him over the edge? I doubt the reason for turning into Ronin is as simple as it is in the comics. 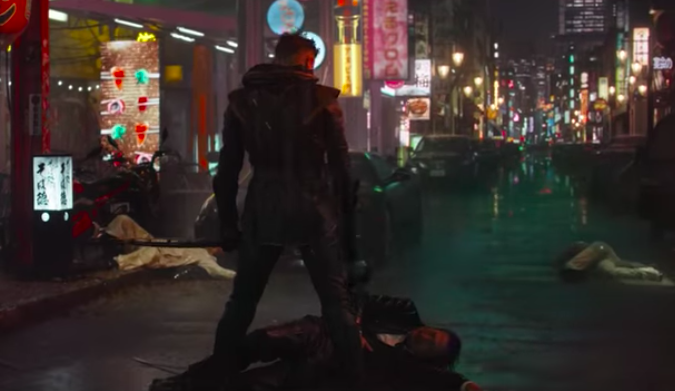 From the trailer we know to expect something different from Barton in Endgame and honestly, I can’t wait to see what Ronin will bring to the film.